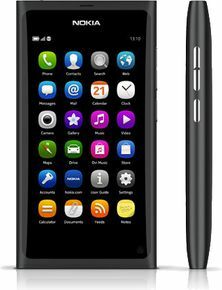 Nokia N9 is currently not available in any stores. Watch your favourite video songs and movies in video player. It supports MPEG4, H.263, H.264, XviD, WMV, AVI, 3GPP, Flash Video file types. Listen to your favourite songs in music player. It supports MP3, AAC, eAAC, AAC+, eAAC+, FLAC, WMA, WAV, M4A (Apple lossless), AMR, OGG etc. file types. We would kill for a little more time with the Nokia N9. We would've liked to feast our eyes on the gorgeous AMOLED screen and handle the impressively sleek unibody just a little bit more. What we dont need is further proof of the MeeGo and N9's great potential. It's good to know Nokia hasn't run out of fresh ideas as we were starting to fear recently.